ctvnews.ca - Warning: This story contains graphic images that may disturb some viewers. A young couple from Windsor, Ont. 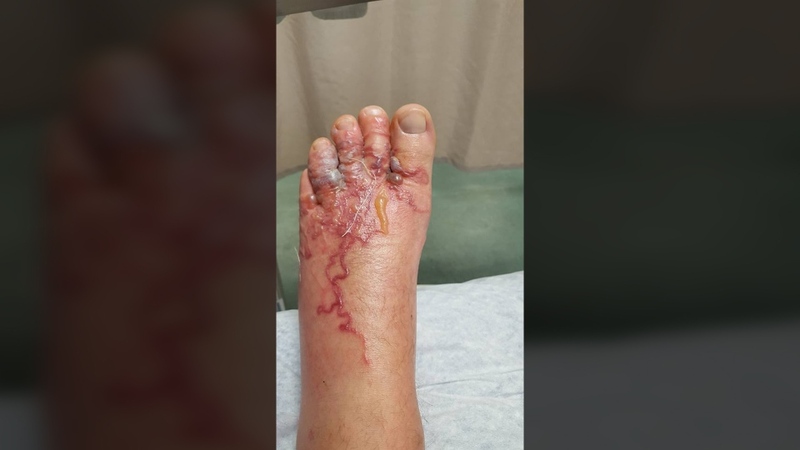 is warning others about the risks of walking barefoot in the sand after they came home from a vacation in the Dominican Republic with swelling and painful blisters on their feet from parasites known as hookworms. 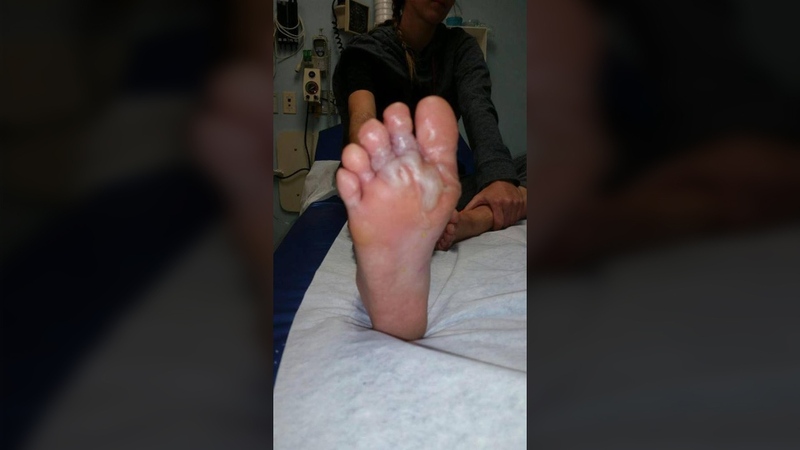 Zytner said the first two doctors he saw at the hospital weren’t sure what was causing the symptoms on his feet and sent him home with bandages. By Sunday evening, Stephens’ feet also began to swell. In terms of treatment, the couple was told they could take a drug called ivermectin, Stephens said. Their doctor sent Health Canada a request for the medication, as it’s not licensed in Canada, which included their case files and photos of their feet. Stephens said they were expecting to receive the drug this week, but they received some unfortunate news from their doctor on Tuesday. “We found out that Health Canada had denied our request to receive the medication saying our case wasn’t severe enough. At that point, that’s when we freaked out a little,” she said. Instead, Zytner’s mother had to drive to Detroit and pay CAD$88 to pick up the medication for the couple. Zytner and Stephens said they took the medication for two days. Although they’re both still using crutches to walk around, Zytner said they’re starting to notice a little improvement in their recovery. “We want to make it known to more doctors what it is, what to look for and stuff because it took us a few trips to the hospital to find out what it was,” Zytner said.